For many of us, the new year means wiping the slate clean and starting fresh. It’s a great time to try out new lifestyle habits like eating clean, hitting the gym, or saving money on your electric bill. While we can’t provide too much help when it comes to diet and exercise, we fancy ourselves energy experts. 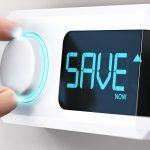 Check out our tips for starting the new year with a lower energy bill! If your dishwasher has the option for a heated dry, turn it off. A little time spent hand drying is an easy way to cut your energy bill. A system tune-up is the easiest way to ensure your it’s running as efficiently as possible. Schedule yours today! Dimmer switches let you control the mood and your energy usage. Win-win! Have you swapped out your weather strips recently? It might be time for an upgrade. A sneaky air leak from worn weather strips is money slipping out the door. How hot is your water? Around 13% of your home’s electricity is spent heating water alone. Set your water around 130 degrees to rake in the savings. Sendiment build up makes your water heater work harder than it has to. Call Weather Master at (919) 853-7910 to service your water heater today! Smart power strips turn off completely after a set amount of time. So all of the appliances attached to those power strips that typically draw standby energy (TVs, computers, cable boxes) are turned completely off. LEDs use less power than traditional light bulbs. If you’re not ready to climb fully aboard the LED train, just swap out the lights you use most often. Have you ever cleaned your fridge coils? It’s not something that typically makes it onto our Spring-cleaning lists. But when your refrigerator has dirty condenser coils, it has to work harder to keep your foods at the designated temperature. Tune up your fridge once every three months to keep everything running smoothly. By providing the very best in air conditioning repair, heating repair, plumbing & air quality equipment and services, Weather Master Heating & Air Conditioning and Weather Master’s Mr. Plumber delivers world-class service with a small-company touch. 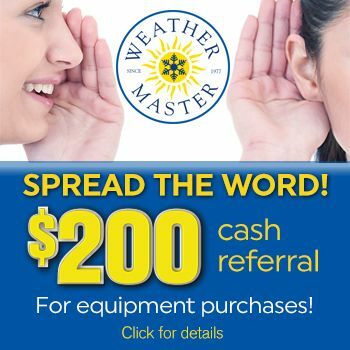 Visit Weather Master today. We’re committed to doing whatever it takes to give you immediate comfort.